Being foodie by nature gives me an opportunity to explore new food that pleases my taste buds. These Taste Buds are unsatisfied organs like women’s hungry shopping. Following outlets really satisfy my taste buds for few hours, been vegetarian is something that I am proud off, so guys below listed outlets are all from vegg perspective. 1) Swiss communal dish called fondue is one of my fav. 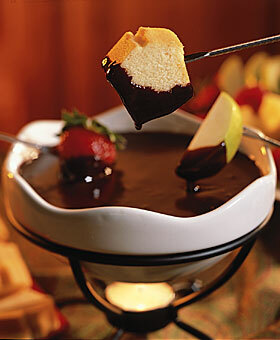 Fondue originates from French word which means “to melt”. But Swiss are supposed to be inventor this dish. The way fondue is served —the cheese is served in a bowl which is pre-heated& kept warn on your table. You are served with the toppings such as breads, marinated mushroom to dip into this bowl & dunk in your stomach. The bread is dipped into the melted cheese blow with a different fork (only used for fondue) to make it soft & edible. You can also have a chocolate fondue where the toppings are fruits like Strawberry, Peach, Apple or the way you like it. There is a very cozy outlet near churhgate station called RELISH international veg cuisine.I had the privilege to try this dish or rather was introduced to this dish by my MBA group. The most important thing for fondue is the toppings that are served along with the cheese & nobody can compete Relish this domain. 2) I am not a great fan of Noodles, but I like the Chinese rice & Starter. We tried this different rice called as pot rice or bamboo rice. 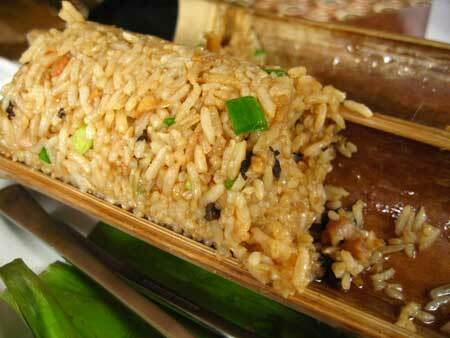 The pleasing aroma of bamboo rice is awesome, as the herbs & rice are prepared in the bamboo on a pre-heated oven. The herbs are beyond recognition, it’s the basic ingredient form Chinese people. We need to ask them, the origins of these herbs, are they manufactured or organically grown? You would love to much on this delicious rice. There is a restaurant in Khar named as Manchow (opp Khar petrol pump-near the madness pub) where you would end up paying more tip to the chief for preparing such delicious Rice. The after taste left in your mouth is very exceptional. 4) Lets see some dishes from Tandoor standpoint; I don’t like the tondoor Panner. 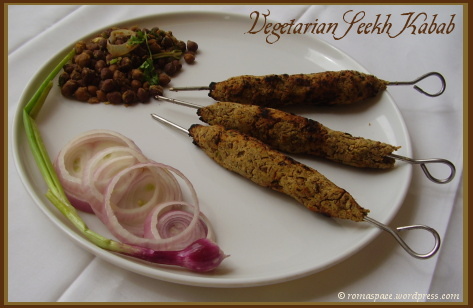 What I like is Veg sheekh kabab severed with a tangy sauce & onions. The best place to hog this Zesty Kabab is Bade Miya, situated in a bylane in colaba. Their Kabab are bit spicy, but nothing an average Bombayite can’t handle. Their rolls and Kabab, which are there forte, are out of this world. One cannot think well, love well,sleep well, if one has not dined well, kabab’s will help you think well, sleep & love well. 5) A smiling face is half the meal and Pasta is the other half of the meal. Pasta is one of the greatest thing happened to grains. 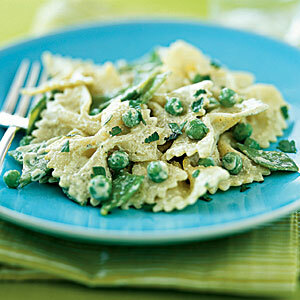 The nutritional quality of pasta, and often its taste and texture, depend upon the flour. The most important ingredient for mouthwatering pasta is the quality of the sauce. This sauce is not a child play, nor is it like preparing a rasum in kitchen. The pasta has to be mixed with the sauce at the right time, so that the sauce becomes a intrinsic part of pasta. Very marginal people can prepare an appetizing pasta. I love the pasta prepared by Pizza hut in 2 flavors, one is tangy tomato & other is cheesy spinach. 6) I am not a very big fan of panner, but I love the Panner chilly. We have a small dabha near our office, in the Speez depot. He makes such a Lush Panner, that we end up eating panner chilly very often. It has become our staple food. The panner needs to be soft, as it absorbs the sauce prepared. The capsicum inserted in this panner chilly is so crisp, that I can have this dish 24 by 7. Panner is a protein –rich food hence it’s making me fat-rich lady. 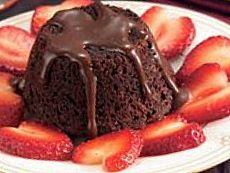 7) Another dish I can’t keep my hand’s & wallet off is muffin cake with chocolate sauce offered by café coffee day. The way they present is scrumptious. When life gives you muffin , make a muffin cake. hey moti…no wonder u wrote a blog on ur favourite cusines……though i am not a foodie person but this blog has tempted me try theses stuff…. Mysore sada dosa is a excellent opition, but i dont really like misal pav. Mc Veggie Burger with out mayo will also do, but its not filling.Best is 2 chappati’s, 1veg, rice & dal. Ha hevean. Oye.. How can u be such a traitor.. U dint put our fav SUB on the menu??? !!! I am shocked!! !